ESABOD is the genesis of all the fights amongst some Yorubas on facebook, She’s a devil incarnate (embodied) in human form. ESABOD, Esther Tokunboh Aboderin, Blogger gone rogue !!! ESABOD is the genesis of all the fights amongst some Yorubas on face book ………. For the past a year plus , most especially after the introduction of “facebook live” there has been a lot of ruckus and brouhahas going on amongst some Yoruba’s in Diaspora, mainly in the Uk ,Ireland and France and it has even extended to some Yorubas in the USA. 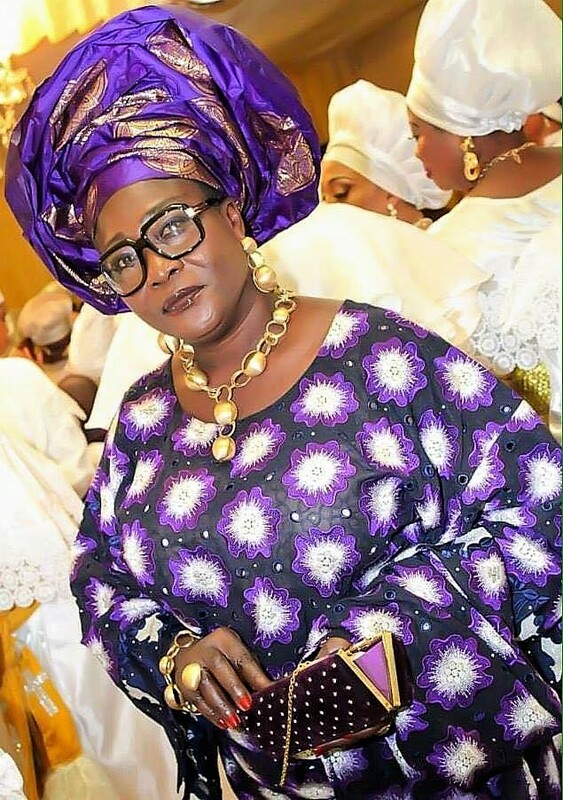 Esther Tokunboh Aboderin aka ESABOD, believed to be 56yrs old is a “blogger “and “online spiritualist” .Esabod comes on “facebook live” and her talk shows comprises mainly on bullying, insulting, demeaning, cursing and slandering people that she believes “hates” her ,or individuals that have offended her in the past, or people she believes are friends, family or supporters of her so called haters. I actually heard the name ESABOD for the first time in 2014 when she blogged about a woman in Ireland whose boyfriend leaked her naked pictures on whatsapp. Esabod is malicious, vicious and without conscience, all in the name of blogging and getting traffic for her blog site, which happens to be her main source of income. She has no scruples about making up horrible stories about individuals just to attract traffic on her blog and she goes about it in a very mean, vindictive and horrible way. Below are some fake / unreal stories she wrote about Abike Jagaban. The straw that broke the camel back was when ESABOD “prophesied” that a young lady who spoke out against her cyber bullying was going to die in the following weeks. Esabod presents herself to her fans as a victim of Domestic violence; she claimed that her partner abused her emotionally and physically for several years before their separation some years ago; although no one has been able to collaborate that story; She never fails to insult, ridicule and shame her ex during each of her live show on facebook. Esabod also presents herself as a Spiritualist / Herbalist / Witch catcher , she claims that God personally came to her and gave her power to fight and overcome witches, wizards and demons, she claimed that God gave her the power to heal all sort of illness such as Fibroid, low sperm count, migraine,diabetes, rheumatism, epilepsy, HIV and even Autism; she also sells love charms , charms to win immigration/court cases ,charms to get promotion at work, or to get more sales in your business outlet , her prices range from 150 Euros to 500 Euros. Her modus operandi is to curse, swear, insult , and give demeaning nicknames to anyone she doesn’t like, the irony of it, is that she can dish out insults but gets so upset when the table is turned, Why ? As a “blogger “and “global celebrity “she should be thick skinned by now and not act so petty by blogging anyone who criticizes her. Esabod claims to have extensive knowledge of her blogging “craft “and insists that there is nothing unethical or criminal about using her “haters “ names as headlines on stories unrelated to them, or even fabricating false stories about them. Esabod has no chill button, respects no boundaries and would go to any length to pull traffic to her page and blogging site. The list of her victims is endless and she tags them all with such demeaning nicknames, which I prefer not to mention here because of the humiliating and demeaning nature of those nicknames. Esabod has created so much discord by her words and actions and has succeeded in creating so much enmity amongst some Yoruba people in the UK and Ireland, now she is hiding in the shadows while those that have been manipulated and allowed themselves to be drawn into her vicious circle, carries on her legacy of bullying. Even those fighting against cyber bullying should be very cautious, hence they turn out to become cyber bullies themselves.